Before coming to Graduate Center’s Theatre Program, I studied in English program (in Korea) for about six years. Back then “distant reading” was not part of the academic curriculum (not sure if it is now) and I remember how canonical “the rise of the novel” (Ian Watt) was. My provocation is partly based on my journey from literary to theatre studies, although not always exclusive, so please do correct my response and add comments if there is any misreading/interpretation (as I am reading it alone for the first time). In Graphs, Maps, Trees: Abstract Models for Literary History, Franco Moretti provides an alternative/radical methodology of doing literary studies, which has traditionally been based on close reading of an individual text. Moretti’s interdisciplinary approach proposes “distance reading” as a new form of knowledge, based not on individual (canonic) texts but three “deliberately” abstract models—graphs (from quantitative history), maps (from geography, though closer to geometry), and trees (from evolutionary theory). The book was first published in 2005 and developed out of three essays that Moretti wrote for New Left Review. The recent New York Times article on Moretti (as well as the book cover of GMT) states that he is “famous for urging his colleagues to stop reading books.” Moretti might have been more polemical and radical in proposing his views in other places (please add comments if you know more about it) and I also understand that it might have become a signature of distant reading. However, I think that more helpful way to read GMT is learning different ways of engaging with the “books” to find out patterns, structures, and relations that are independent of/or unavailable from interpretations (close reading). I find it worth noting that Moretti’s work received criticism for comparing natural evolution with cultural change or for not providing connections with other fields of study. In addition to that, Harold Bloom’s dismissive reaction toward Moretti, described in another New York Times article published in 2004, is also worth noting as Bloom said “with an audible shudder” that he is interested in reading and that’s all he is interested in. Bloom’s definition of “reading” here is that of interpretive reading, a traditional way of engaging with the books (remember: he is the author of The Western Canon). Based on the assumption that people in our class might have varying degrees of acceptance/rejection of Moretti’s argument, I would like to ask the following questions: Do you buy Moretti’s concept of distant reading in literary studies? How about for other fields? Have the scholars in your field of study accepted, criticized, or wholly abandoned this type of reading? Is Moretti’s argument helpful in understanding and expanding our discussion on “what is text” and “what is data” last week? Reading GMT in 2017, I wonder if digitization and database (in the context of data visualization) have played (or will play) an important role in circulating and/or expanding Moretti’s models. As far as I know, distant reading has not been a big thing in theatre studies (other than Shakespeare-related work), but as I have recently discovered an example of “distant watching” (visualizing Broadway project), I would like to hear about any interesting projects in your fields. The Canon, the Genre, and the Model? Rather than discussing the specific examples-figures Moretti provided, I would like to focus more on a methodological perspective. On the one hand, Moretti’s GMT can be understood as a political project (or can it be?) as the approach problematizes the literary history written out of “the one per cent of the cannon and the ninety-nine of forgotten literature” (77). Since the 1960s, feminist, queer, postcolonial theories (to name but a few) have challenged the construction of the Western canon, but in a way they have also created other sets of canon that are now frequently part of the curriculum. I think Moretti’s approach is fundamentally different because it is not about evaluating the aesthetic quality of the canon or would-be-canon, but about teasing out the relations between the canonical and the non-canonical work (either by abolishing all qualitative difference or articulating the very difference). Then, is there a place for aesthetic connoisseurship as such? How will it change the status of the canon (or the “high” and “low” forms)? Moretti’s analysis in GMT is grounded in literary genres. By discovering patterns and devices of genres/cycles, he often aims to understand the structural whole which is larger than the sum of individual parts (in case of the literary maps, 53 & also in the New York Times articles). I am mindful of speaking the language of “the whole” and wonder if this seemingly “scientific” view would provoke any backlash. Although larger sample sizes can offer more accurate analysis, we should also be mindful of differentiating large “samples” from “the whole.” After all, as an extension of last week’s discussion, what is available in the archive or database can influence directions and results of the studies proposed by Moretti. Thsn, is it always the better way to map the “world literature” as such? In sum, I like that Moretti does not propose his models (“materialist concept of form”) as “the ultimate” model for rational literary history. He states in the last sentence of GMT that “opening new conceptual possibilities seemed more important than justifying in every detail” (92). Are we still at the stage of opening new possibilities, or now it is time to justify details? What Moretti said as a “dream” in 2004, which is “a literary class that would look more like a lab than a Platonic academy,” is still a dream? How can you (or do you want to) use the methods of distant reading in your classroom? In Chapters 1 and 2, Freire explains how the current education system, which he termed “banking concept of education,” functioned as the major instrument of sustaining the oppressive system and justifies the need for pedagogy of the oppressed for liberation of both the oppressed and the oppressor. I think Freire’s intentional use of “of ” here is important, as he proposes a pedagogy “with” the oppressed, not “for” the oppressed. As he criticizes several times the forms of “false generosity” or “false charity,” I agree with his idea that liberation/independence cannot be given as a gift for the oppressed, but they should be the subjects of the liberating process. However, one aspect that made me curious was his distinction of the educational projects from the systematic education. He states that educational projects “should be carried out with the oppressed in the process of organizing them” while systematic education “can only be changed by political power” (54). I believe most of what Freire proposes are within the boundary of educational projects, but I also wonder if (and how) these educational projects can be the changing forces of the systematic education. In other words, are there always this clear-cut binary between the oppressed and the oppressors and between the educational projects and the systematic education? How central is Freire’s pedagogy in the curricula of most schools in the U.S. or outside the educational system? I think Freire’s pedagogy has been a good starting point for many educators and academics to think about it in a more specific context (i.e. Feminist pedagogy, etc.). Other way to put it, rather more critically, is that Freire’s critique on the oppressive system can be read as generalizing “the” oppressive system hugely based on Marxist class analysis, without specifying the different layers of oppression or proposing different possibilities of the very experience of oppression. We had a discussion on “intersectionality” and we are not well aware of how social inequality and injustice is sustained by multiple forms of oppression including gender, race, ethnicity, disability, sexual orientation, and so on. Drawing from your own theoretical background and/or practical educational experiences, what’s your take on this? Sometimes Freire seems to be romanticizing the inner values of the oppressed (laborers and peasants), although he understands the double/contradictory consciousness. In part to continue our discussion on pedagogy of the oppressed and “Trump voting masses,” I thought about if we have a clear-cut agreement on who are the oppressed and who are the oppressors under current political and cultural geographies (e.g. white supremacy rallies). How can we use Freire’s pedagogy in the current political context in (seemingly) democratized and societies (especially the U.S. and some countries in Europe)? Can interactive technologies be any useful platform for pedagogy of the oppressed in the twenty-first century? I would like to end with quoting feminist scholar bell hooks talking on Freire and his sexism (refereing back to the second paragraph of this blog post). In the chapter 4 of her book Teaching to Transgress (1994), which is a playful conversation between herself (Gloria Jean Watkins) and her pen persona bell hooks, she powerfully states that Freire’s work is like water that contains some dirt in it. Do you agree with her statement? 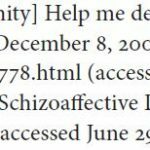 Can you let me know other scholars or practitioners against this position? More importantly, how can we think about Freire’s work in a more global context? 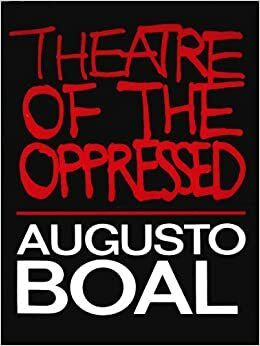 As a theatre-major student, I previously commented on Zhang’s post about Brazilian theatre practitioner Augusto Boal‘s Theatre of the Oppressed. I write it here again just in case you are interested in reading more about the application of Freire’s pedagogy in theatre. Boal was hugely influenced by Freire and emphasized interaction and communication between the performers and the audience (he coined the term, “spect-actor”). As a form of activism and theatre, the methodologies of Theatre of the Oppressed have been performed around the world and you can check out “Theatre of the Oppressed NYC” too. Based on our previous discussions regarding the role of “facilitator” it is interesting to note Boal called this as a “joker” in reference to the neutrality of the Joker card.